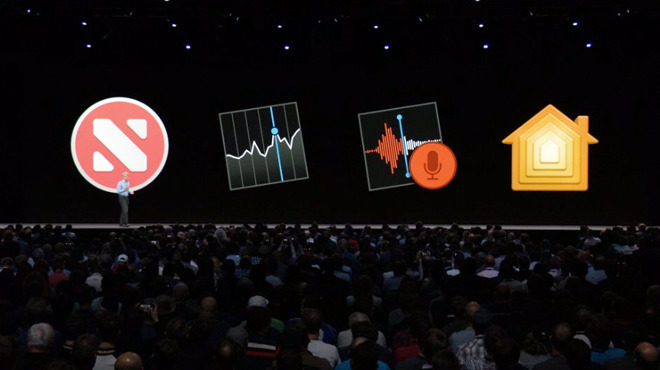 While iOS and macOS share similar underlying frameworks, there are also key differences that have made porting iOS apps to Mac difficult, said Apple's senior VP of Software Engineering Craig Federighi. 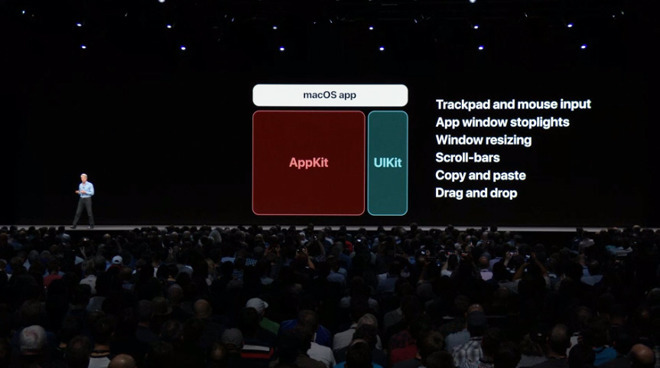 The company is incorporating previously iOS-only frameworks into macOS, and allowing those apps to tap into things like mouse and trackpad input, resizable windows, scroll bars, and copy-and-paste. Some apps in this fall's macOS Mojave — namely Home, News, Voice Memos, and Apple Books — are in fact ports of their iOS equivalents. Federighi denied speculation that Apple will eventually merge macOS and iOS, bringing up a dramatic "No" slide when raising the topic. Rumors of iOS apps coming to the Mac have been around since 2017. Apple could partly be hoping to reinvigorate the Mac App Store, which has languished given the ability of Mac developers to sell apps anywhere they want without giving Apple a percentage of revenues or going through screening.